Bugatti’s first big triumph at the Grand Prix de la Sarthe in Le Mans came in 1920 with the Type 13 Brescia. With a relatively small, but high-torque four-cylinder engine, 16 valves and comparatively low weight, it beat a field of more powerful, but heavier competitors. The Brescia introduced the power to weight ratio that has remained a key criterion in motorsports right up to the present day. The Type 32 was nicknamed “the Tank” by the press because of its resemblance to the tanks used in the First World War. This model was one of the first cars to introduce the concept of aerodynamics to motorsports. Although the Type 32 was not initially a success, it did pave the way for the increasing significance of aerodynamics for race cars. This Bugatti only took part in a single race – the 1923 French Grand Prix. But it still came third with an average speed of 114 km/h. The Type 35 is without a doubt the first model you would associate with the Bugatti brand – to this day, it remains the most successful race car of all time, with over 2,000 victories and spots on the podium during a racing career that lasted nearly ten years. The Type 35 features a stunning streamlined teardrop-shaped bodyshell. It was also a commercial success – Bugatti sold the Grand Prix model to prosperous privateers, laying the foundation for Molsheim’s Golden Age. The Bugatti Type 35 was the only car from the period that could be driven on both public roads and racetracks. The world’s greatest luxury automobile – a car for aristocrats and royals. That was what Ettore Bugatti aimed to achieve with the Type 41 Royale. A prototype of this model won the German Grand Prix at the Nürburgring in 1927. The Royale’s displacement of 12.7 litres outstripped all the previous benchmarks set by earlier luxury cars. In honour of his late brother, a sculpture of a rearing elephant designed by Rembrandt Bugatti was used as the radiator cap for the “Royale”. The aerodynamic angle of the Bugatti Type 50 Superprofilée’s windscreen was a key feature that made the model one of the most advanced cars of the pre-war period. The two overhead camshafts – a Bugatti first – and the use of two diagonal valves were also pioneering. Although this model did not achieve success on the racetrack, it holds a special place in the history of Bugatti, as it is one of the first models to bear the stylistic hallmarks of Ettore Bugatti’s son Jean. The Type 52 is a small version of the T 35 Grand Prix car for children. Originally it was designed to be used by Ettore Bugattis son Roland, who was born in 1922. Even some competitions became fashionable for the children of wealthy parents to race against one another on the Summer promenades of the chic seaside spa resorts with their “Baby”. Not in one of the official works brochures the “Baby” is named as T 52. It was known as the “Baby” only. The beautiful two-seat Bugatti Type 55 Super Sport was designed by Jean Bugatti. A touring car with a Grand Prix engine, in 1931 it superseded the Type 43. For the Type 55, Bugatti used the highly robust chassis of the Type 47, which was originally designed for a heavy 16-cylinder engine. The result is one of the best Bugatti chassis ever made. In addition, a newly developed gear housing was installed in the Type 55, making the chassis even more robust. Alongside the roadster, the factory also built a so-called faux cabriolet – a coupé also designed by Jean Bugatti. A total of 13 roadsters and nine coupés were made. 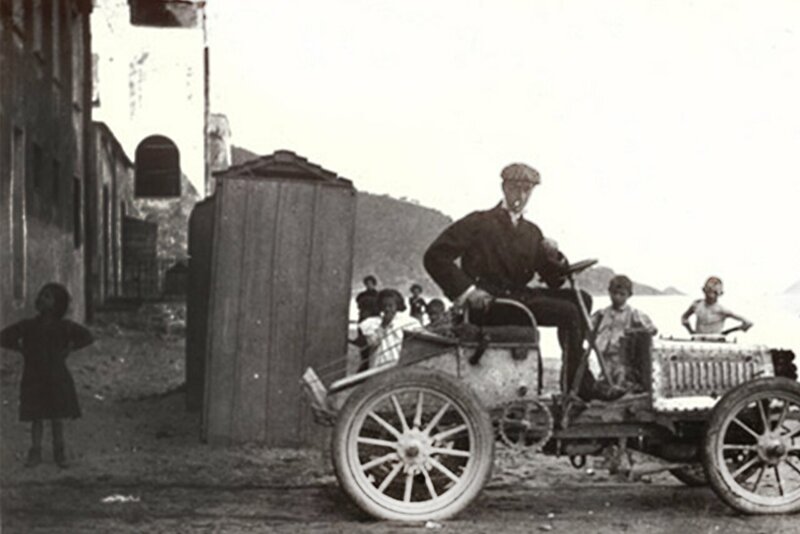 Ettore Bugatti originally developed this little electrically powered two-seater because he wanted a vehicle with which he could easily drive around the plant and its vicinity. The Type 56 was never intended for serial production, but popular demand in the form of his customers’ urging convinced Ettore to reconsider and build the little electric car. The Bugatti Type 57 was unveiled at the 1934 Paris Motor Show. The Type 57 could be ordered ex works with various different bodyshell options. The Atalante was undoubtedly the most beautiful version. It was a two-door, two-seat coupé, which was also available with a roll-back roof. The Atalante body, only 34 of which were made in the factory, is now regarded as one of Jean Bugatti’s most important creations. The name Atalante comes from Greek mythology. Atlanta was a young huntress and the fastest woman in Greece. This makes the name “Atalante” ideal for this sports coupé, which was one of the fastest cars at the time. Jean Bugatti, who had already established his reputation as a genius of car design, was also responsible for designing one of the most beautiful Bugattis ever made: the Type 57SC Atlantic. The body of the Atlantic was originally supposed to be made of magnesium. At that time, it was extremely difficult to weld magnesium, which was why the two halves of the bodyshell and wings were riveted together. The four Atlantic bodyshells were eventually made in aluminium, but the fin was retained and remains a striking detail to this day. The 57G “Tank” was the only Bugatti race car to achieve multiple successes in the second half of the 1930s. At the 24 Hours of Le Mans in 1937, Jean-Pierre Wimille set a new record lap speed of 148.98 km/h in the fourth lap, and in the 23rd hour a Type 57 “Tank” broke the distance record set in 1933. Wimille and Robert Benoist triumphed in style at the 24 Hours of Le Mans – Bugatti’s first victory at the famous race, as well as the first French victory since 1926. Thanks to its streamlined form, the Type 57 dominated French endurance racing in 1936 and 1937. Unlike the Type 35, only a few units of the Type 59 were made: just 12 chassis and eight engines. The aesthetically dazzling race car was fitted with the newly developed piano wire wheels, which gave the car a novel appearance. Originally intended to have a 2.8-litre engine, the car was fitted with a larger 3.3-litre engine before it even made its debut at the Spanish Grand Prix in San Sebastian. However, its sensational appearance could not disguise the fact that even before its first race, this car was already technically outclassed by competing German models. In 1987, the Italian entrepreneur Romano Artioli acquired the rights to the dormant Bugatti brand and founded Bugatti Automobili S.p.A. in Campogalliano, Italy. In the four years that followed, Artioli produced a Bugatti supercar with the help of some of the greatest talents in the automotive industry. The car was revealed to the world on 15th September 1991 on Place de la Défense in Paris to mark the occasion of Ettore Bugatti’s 110th birthday. The EB 110 was a worthy representative of the brand’s tradition, with several superlative Bugatti features. 16 cylinders, 1,200 PS, a maximum torque of 1,500 Nm, 0 to 100 km/h in 2.5 seconds and a world record speed of 431.072 km/h - these are the figures that describe the magic and uniqueness of the ultimate supercar of the modern era. The Veyron has caused a sensation across the world ever since its launch ten years ago. In the Veyron, Bugatti has created an automobile icon and established itself as the world's most exclusive supercar brand.